There are always people, online articles, books, your grandmother, telling you what you should do when performing the revitalizing process of gardening. It’s always tips, hints, advice, and whatnot. But have you thought of the possibility that there are few things you are NOT required to do in order to have a rather successful garden? Experience comes with practice. You are never insured. Flawless performances are rare and unlikely. 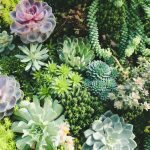 That’s why I’ve teamed up with FantasticGardeners to help you familiarise yourself with the most common gardening mistakes. It is okay if something from the list below has happened to you. Mistakes are a part of human nature and it is precisely they that would teach you how to NOT proceed next time you face a gardening challenge. What you did: You planted vegetables and all, everything was cool until harvest season came and your vegetables failed to give fruits. 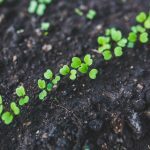 What an experienced gardener would do: Soil needs testing in order for you to be aware of what it lacks and needs, which is entirely dependent on what your plants of choice are. Good thing this only needs to happen once a year. It’s not difficult either – you can buy an inexpensive test kit from the local hardware store. Bonus solution: Just mix a good organic compost with your soil. This will keep it supplied with everything it would ever need. Consider worm compost, proportion should be 1:1 compost to soil. Failing to prepare your garden soil properly before planting is a big mistake, especially if you don’t know what type of soil you have! What you did: Yes, water is one of the main ingredients for the creation of life itself, but the dosage makes the poison. Overwatered rotting plants’ roots aren’t any good. More so if you are taking care of succulents, even fish can drown! * Disclaimer: There are indeed plants that can grow with at least half of them covered in water. They are classified as the easiest to maintain, because this is literally one of the top mistakes gardeners make. However, when it comes to indoor gardening, you have to be very careful with how much water you pour in the pot. What an experienced gardener would do: Test. Grab a little of the soil. If it’s hard and dry – it needs watering. If you can form a nice consistent ball of it, without water dropping – it’s perfect. Pros’ generous hint: Have an indicator plant accompany your original one. Indicator plants are plants that easily wither. They are needy and would clearly show if your soil needs water. It will be you water-o-meter! Just pay attention to its condition if you have any doubt about watering frequencies. What you did: You decided to play around with planting spiderwort in your flower garden, let’s say, because you like its blue petals and the overall aesthetics of it. Well unfortunately (for your other flowers) the next year you find out that was rather unwary of you. The spiderwort has grown all over your garden again. 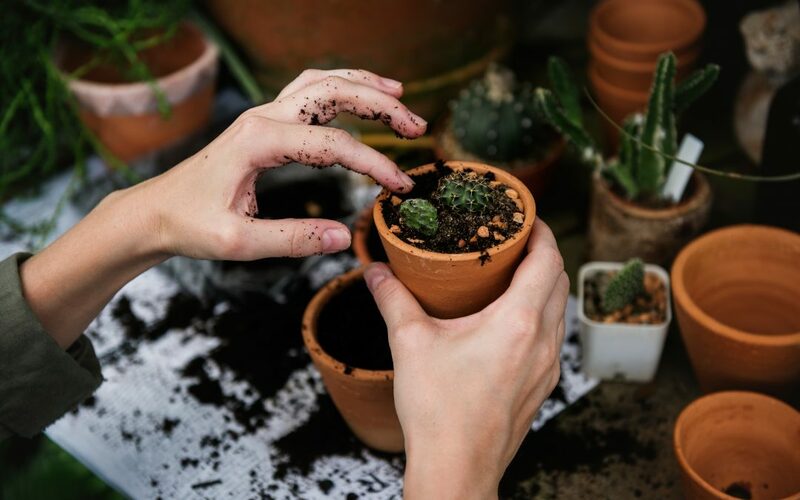 What an experienced gardener would do: If you really, really insist on growing invasive plants such as cotoneaster, spiderwort, English Ivy, Himalayan knotweed and horseradish the clever way would be to grow them with the miracle of container gardening. If you already have an invaded garden we recommend to restrain from the use of herbicides (explained in point 4) and kill the unwanted visitors by dampening the soil in the pestilential area and then covering it with tarpaulin. Do it when the summer heat is present. This is called soil solarisation and it will fry the invaders to death. It’s way more environmentally friendly than herbicides. 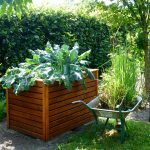 What you did: You just moved into your new place and since it’s spring you’re eager to get your garden in shape and start planting. Like a true gardener would. And with being hasty you decide it’s easier to spray around with herbicides to eliminate the weeds and grass and start all over again. This is wrong and will waste your precious soil. What a professional gardener would advise you to do next time: Herbicides are highly toxic and are meant to kill plants. You don’t want them in your garden unless you plan on not having one. One of their superpowers is to stay in the soil for a very, very long time. Even years at times. Hard work and time are needed in gardening. What you could do is mix vinegar with hot water in a 1:1 proportion. You then “water” the weeds with it for as long as needed (usually once every day for about a week). Unwanted plants will eventually turn brown, because the vinegary solution will kill the leaves and a great part of the roots, making them easier to be extracted later. What you did: You bought fancy outdoor furniture in different styles which at the time either seemed catchy or it was at a bargain. However, once you start arranging it, you might see that different styles, colours and shapes make the whole setting too crumbled, cluttered and lacking a harmony. What you should bear in mind: Everything from the potted plants to the lawn, patio bricks, the shrub selection and the furniture design and colour heavily impacts the overall spirit of your garden. Unless you seek order in chaos, get the whole furniture set from one and the same store. What you did: Well, proper planting has many pitfalls. It’s one of the most common gardening mistakes and it’s perfectly okay if this is the reason why your plant has wilted or didn’t give fruits. 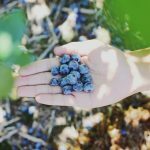 Planting too early when the ground is still cold leads to blossoms decaying, whereas higher temperatures won’t allow for plants and veggies to give fruits. What you can do: Familiarise yourself with your local climate, the type of plant you want to sow and the time of the year it blossoms or gives fruit. If your growing season is too short, start seeding in advance. A greenhouse does an immense job at extending growth time availability, whereas if you don’t have such a structure, try out row covers or cold frames.